*The Great Expedition to Titanic had to depart early due to a hurricane but got some real neat photos of the wreck. And it showed the wreck still is quite visible demonstrating the decay rate is slower than some speculated. *Over in Belfast a developer in the Titanic Quarter went after a man who put down money for an apartment but could not complete the deal due to being unemployed. Three years ago Neil Rowe put down money for a £265,000 apartment. Alas the poor economy cost him a job and he cannot get a mortgage. The developer though wanted him to pay the balance and took him to court arguing although broke he still owed the money. In simple terms, they wanted to the court to recognize he owed the debt but the judge turned them down. They can still seek damages if they choose. 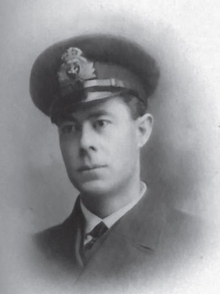 *Fifth Officer Harold Lowe of Titanic does not get a lot of notice and Maddie Mathews, a 16 year-old schoolgirl, thought that was wrong after seeing Cameron’s Titanic. So she launched a campaign to get Lowe, who also hailed from Wales, to be properly commemorated. She wrote letters to local councils and historical associations asking for their assistance. The town of Barmouth, where Lowe spent much of his youth, is setting up a committee and invited Maddie to sit on it. The purpose of the committee will be to erect a memorial in time for the 2012 centenary. Descendants of Lowe have been contacted and delighted by the news. Good work Maddie! *Top Chef Boring continues on to Singapore. They had to make meals in the final challenge that could be freeze dried and eaten by astronauts. The highlight was Buzz Aldrin, a man who has walked on the moon. Anthony Bourdain was there and actually criticized Ripert’s (who he calls Ripper) criticism of Ed’s dish as too complicated. There are critics of Ripert who say he is too bland or too exacting in his standards. He is much better than that walking cliché Toby Young. Young must have had flash cards to memorize dozens of totally useless cliches to throw out during his tenure on Top Chef. Michelle Bernstein put him in his place and his totally weird comment about wine and hairy armpits (which caused Tom C. to put his head down on the table in disbelief) probably was the nail in the coffin. Ripert at least is constructive in his criticisms. Bourdain would make a great judge (and has done well as a guest judge in the past) but he is too busy to be there full time.